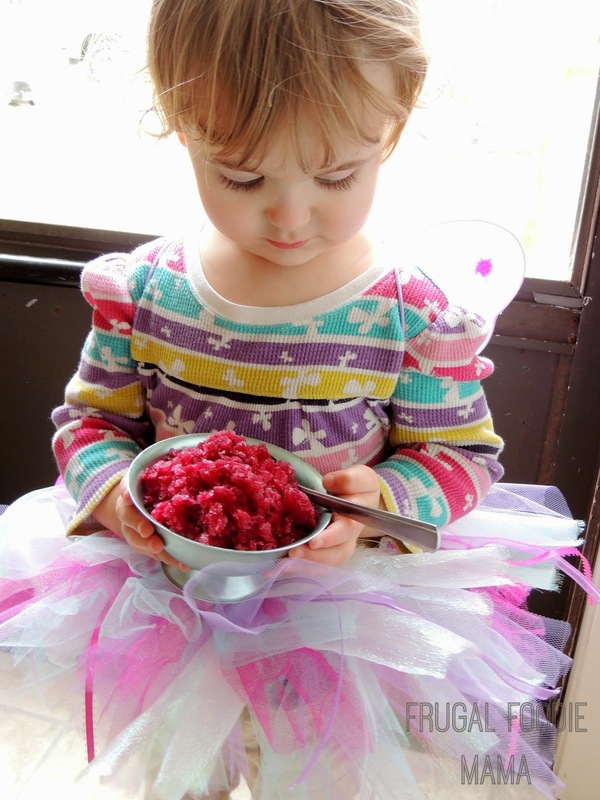 Most days it is all fairy wings, tutus, and pixie dust here with my little girl. Needless to say when we found out that Disney's The Pirate Fairy is coming out on Blu-Ray & DVD on April 1st, we were both pretty excited. We have seen every single Pixie Hollow movie at least 5 times. And honestly, I may be just a little more excited about the bonus DVD that comes with The Pirate Fairy when you purchase it at your local Walmart- The Pixie Hollow Bake Off! To get geared up for the release of the DVD (and for the magical bake off! 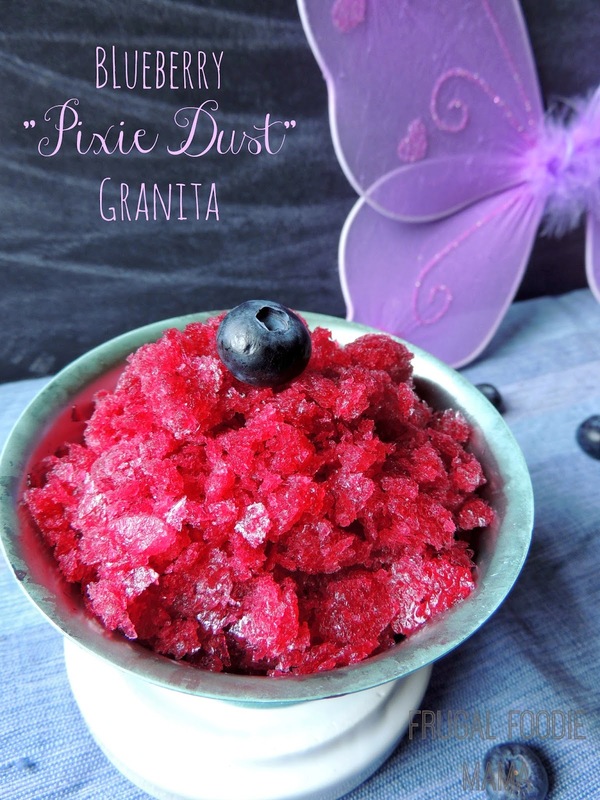 ), I created a sparkling, healthy dessert inspired by the Blue Pixie Dust stolen by the Pirate Fairy and that the fairies of Pixie Hollow need to retrieve to save their home. 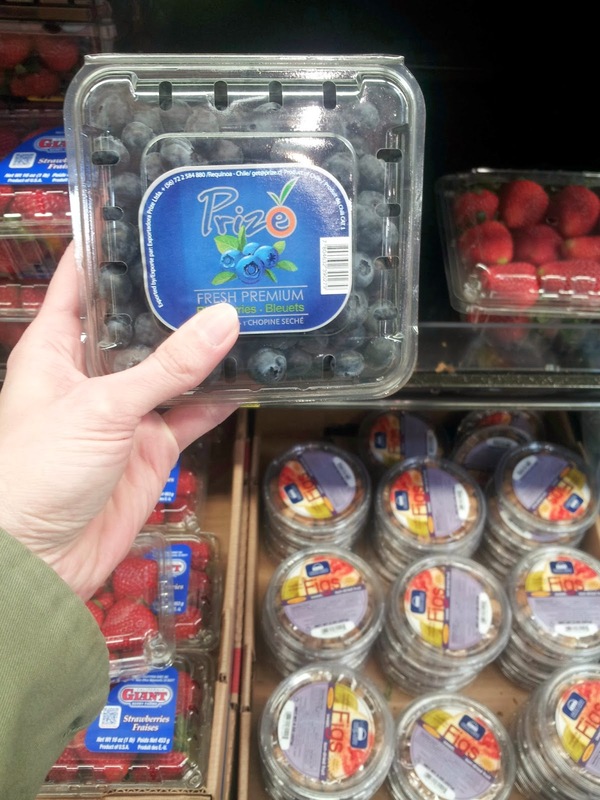 Picking up delicious fresh blueberries at my local Walmart for the granita. 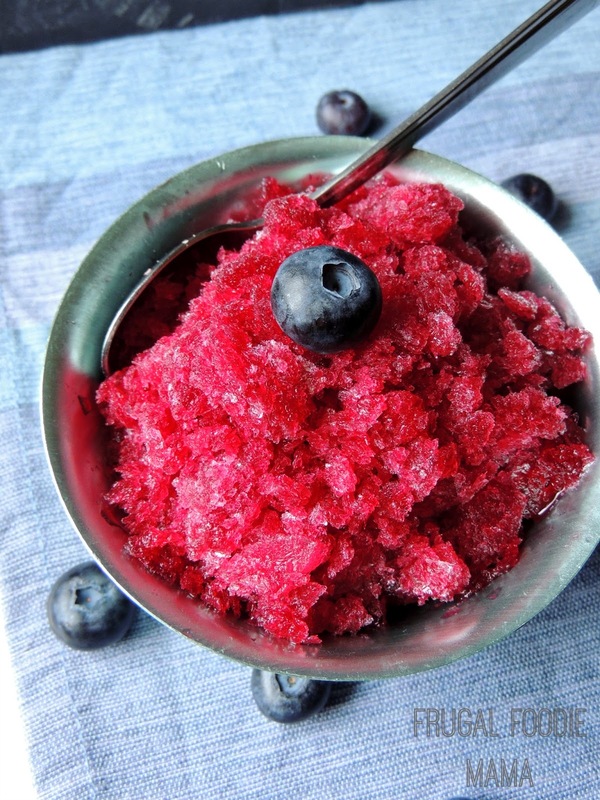 In a small saucepan, combine the blueberries, sugar, & 1/4 cup of the grape juice. Bring to a boil over medium heat. 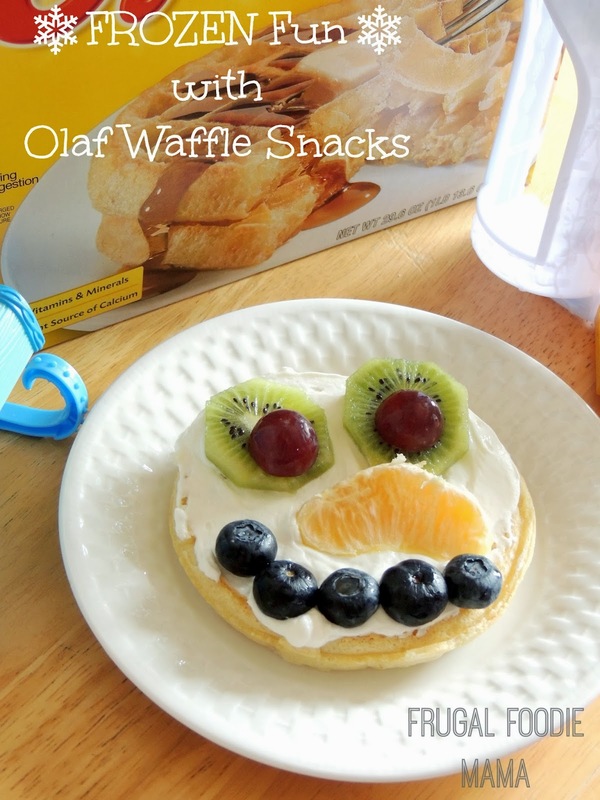 Continue to boil until the blueberries soften and pop open, about 4-5 minutes. Let cool for at least 10 minutes. 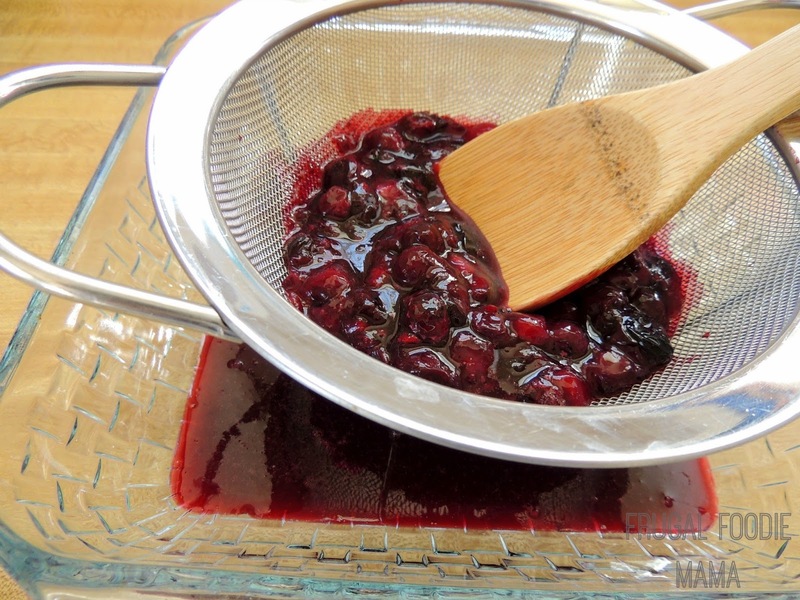 Mix the water and the remaining 1/4 cup of grape juice into the glass pan. Place the pan in the freezer for 4 hours, scraping with a fork once every hour. This scraping will create the crystals (aka, pixie dust). Once finished, cover with plastic wrap and store in the freezer. 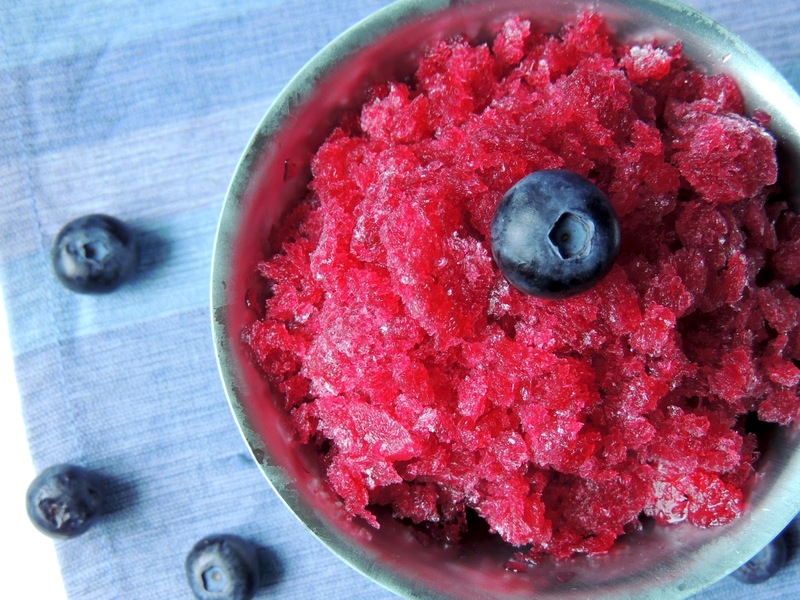 To serve, simply scoop into a bowl and enjoy this refreshing, sparkly treat! Store any leftovers covered in the freezer. Who else is excited for the April 1st Blu-ray & DVD release of The Pirate Fairy? What Blue Pixie Dust inspired recipe would you make for the Pixie Hollow Bake Off?